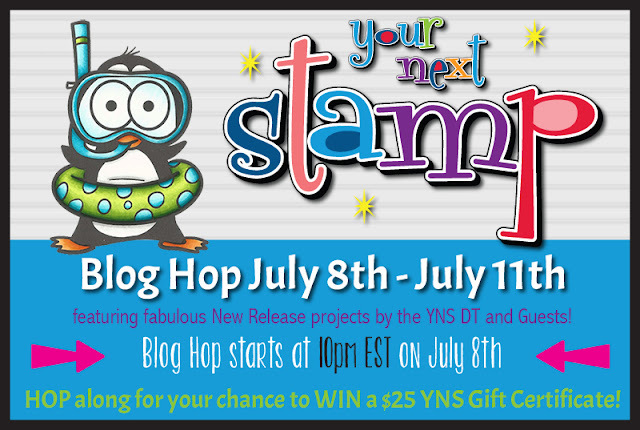 Welcome to Your Next Stamp's July Blog Hop. With YNS' birthday month coming up in August and the YNS store is on the move, we are having a re-release with some favorite YNS stamps. 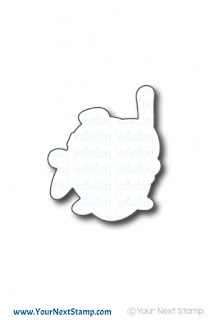 Of course there is also a brand new paper pad and gumdrops to play with in the store tonight at 10pm EST. Snorkel Fun Fishy and Snorkel Fun Fishy Die. I stamped the image first, then stamped and cut out on separate paper, colored up and popped up over my stamped image so I could have the bubbles from the image. 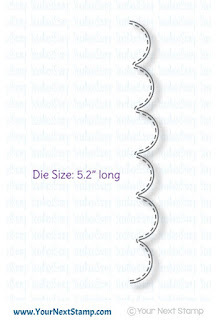 I made my waves using the Wonky Scallop Edge Die as a stencil with Premium Dye Ink Ocean Mist. 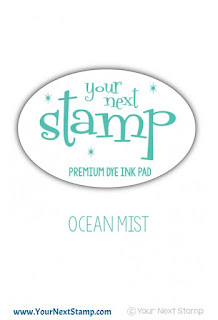 Stamps: Snorkel Fun Fishy (Your Next Stamp) Paper: White Cardstock (Papertrey Ink), Neenah Solar White 80# Ink: Premium Dye Ink Pad Black Olive, Ocean Mist (Your Next Stamp), Copics: Y17, Y04, Y07, BG0000, BG000, BG01 Accessories: Snorkel Fun Fishy Die , Wonky Scallop Edge Die (Your Next Stamp), Cuttlebug, Sunset Sparkle Gumdrops (Your Next Stamp), foam tape. 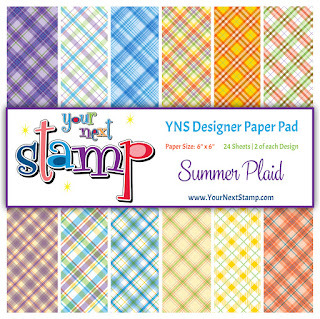 I am playing with the new paper pad this month, Summer Plaid. SQUEE! The pattern I chose, offsets this cutie, Hoot's Up, perfectly with Sunset Sparkle Gumdrops to add the finishing touch. I stamped my images (love those fun little clouds) onto my Stitched Rectangle Die Set panel and cut down to fit my card front leaving a pattern paper border. 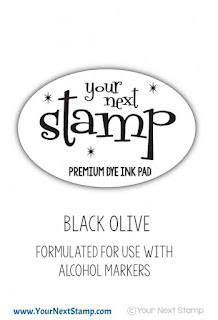 Stamps: Hoot's Up (Your Next Stamp) Paper: Summer Plaid Designer Paper Pad (Your Next Stamp), White Cardstock (Papertrey Ink) Ink: Premium Dye Ink Pad Black Olive (Your Next Stamp), Copics: YR23, Y21, Y17, W1, W3, W5, Y17, YR04, YR07, Accessories: Stitched Rectangle Die Set (Your Next Stamp), Sunset Sparkle Gumdrops (Your Next Stamp), Cuttlebug, foam tape. 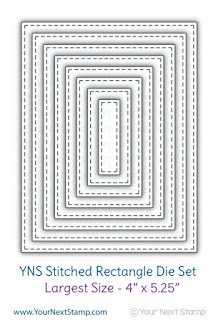 Wanna win a YNS $25 Gift Certificate? Just comment, the more you comment, the more chances you have of winning. (You do not have to comment on all blogs to qualify). These are such darling critters. My fav is the snorkel fish. These are adorable, Lisa. Love the colours. Adorable cards! Thanks for the chance to win! Love your adorable fish and owl. Your coloring is fantastic. Well hello Mr Fish and Mr Owl, these are both fabulous Lisa! Your cards are so cute!! I love both images with goggles, such a fun accessory. Such fun and cute creations, love both! Hi Lisa. Your cards are "fin-tastic"! The new gumdrops totally match your fish colours, how awesome is that! Great cards! Love the texture you added to the owl with your coloring! These cards are delightful, Lisa. I especially like the bold coloring of the fish against the more subtle background coloring. TFS. Love the goggles on the fish. love your cards! Thanks for sharing. What darling cards! Love the coloring! thats the best coloring I have ever seen!!! the owl looks perfect!! againgreat goloring!!! great card!!! Lisa, love your cards. Reminds me of snorkelling in Hawaii. Thanks for sharing. both cards are too stinkin' cute, lisa!! Wonderful coloring on thses images. Great cards! 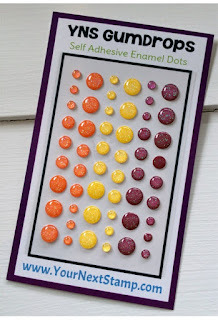 Fabulous coloring and I like the addition of the gum drops. Super cute cards, love your coloring!! 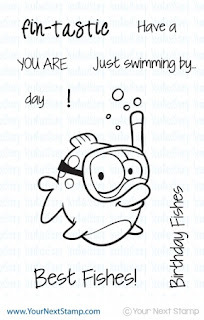 Lisa, I really really love your fishy card. OMGosh these are both so cute!!! Both are super cute! Love the fish! Cute cards. I especially love the fish one. Great coloring. Hello Lisa, this projects are AWESOME!! The colors and great design on your cards show us your fantastic style and creativity!! Fantastic hop!! I love both cards, but I really like the way you colored the owl. Adorbs! That fish with the scuba mask on is hilarious! 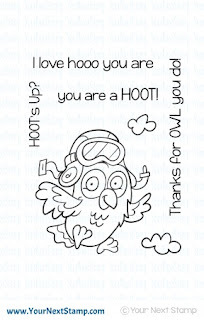 Great job coloring your owl on the second card, also! Both cards are so much fun! these are seriously just the BEST! Adorable cards! Love the fish so cute! You used a couple of really cute sets. Your coloring is lovely and the cards are so adorable. Love how you used the wonky scallop edge to create the waters edge. nice! 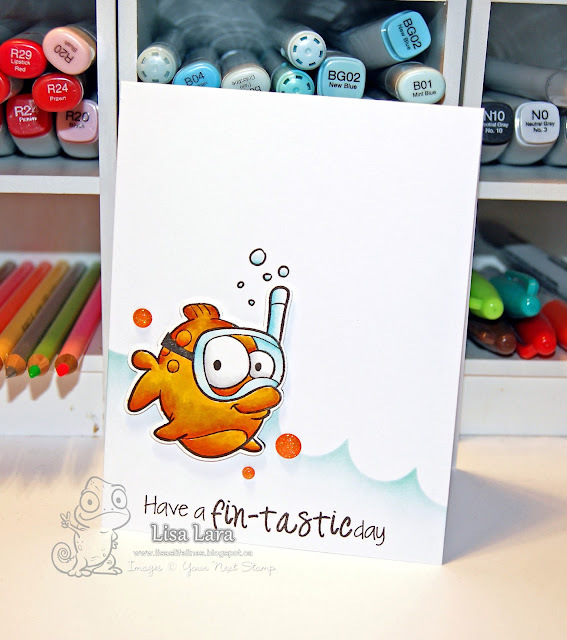 love the water for the fish stamp! Love your card and that snorkel fun fishy stamp set! Absolutely stunning cards - your fish is fabulous. I love the sponged waves but both cards are great! Adorable cards! Love that fish!